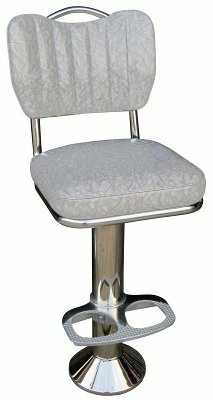 The retro style of our diner chairs is available in our Mounted Counter stool line! Our Handle Back diner chair frame on our sturdy floor-mounted column creates a stylish, unified look for your diner or restaurant. Product Dimensions: 15" x 15" x 34.5"-46.5"